Breasley are a famous name in the Foam Mattress market! Their products offer excellent value for money, superb levels of support and luxurious comfort. The Breasley brand is famous for being a market leader in this industry - indeed the largest UK foam supplier! Each Breasley mattress offers excellent value for money, which is why Breasley mattresses remain at the top of our best seller lists. These mattresses are made to the very best specifications possible for the money, and they are all built to last. Breasley supply a range of mattresses for all tastes, including firmer Orthopaedic mattresses and softer mattresses. The value range from Breasley is also worth a look! Breasley have developed a range of mattresses that offer extremely good value for money, together with excellent comfort and support. The new UNO Collection has been a huge success since it's introduction, and it is easy to see why! Whether you're looking for a budget mattress for a spare room, or a supportive and luxurious foam mattress, a Breasley UNO Mattress will be a great choice. MyNextMattress is proud to offer Breasley's range, and we're among the biggest Breasley mattress stockists. Our best seller is the UNO Vitality mattress, which continues to be top of the charts, month after month. 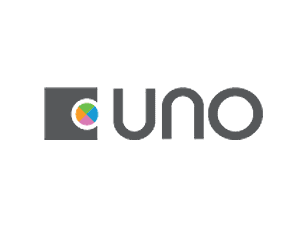 We've got the whole UNO Mattress range on offer, and we're tried to review them as best as we can, but we're always wanting your input, so please feel free to ask questions or leave your own reviews!